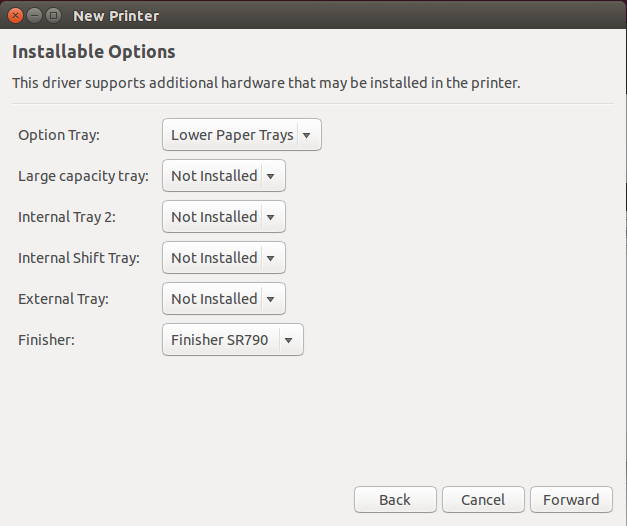 Expand "Network Printer" and select "LPD/LPR Host or Printer". Enter the hostname and queue provided by your ECN support staff. Click the "Forward" button. 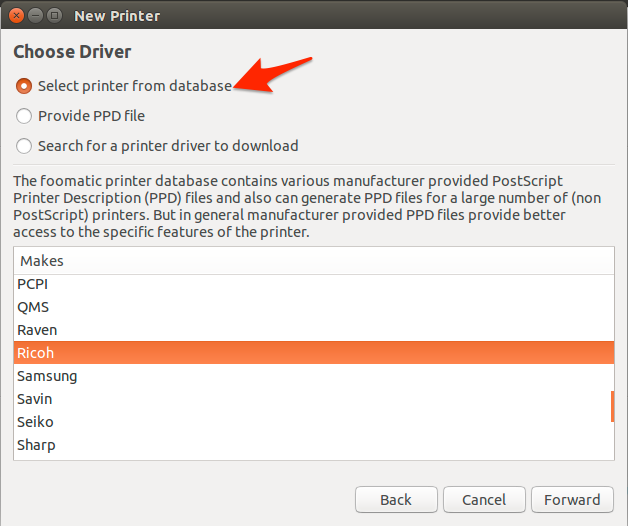 Click the radio button beside "Select printer from database". Choose the manufacturer, provided by your ECN support staff, from the list below. In this example, we have chosen "Ricoh". Click the "Forward" button. Choose the model, provided by your ECN support staff, from the left-hand column. 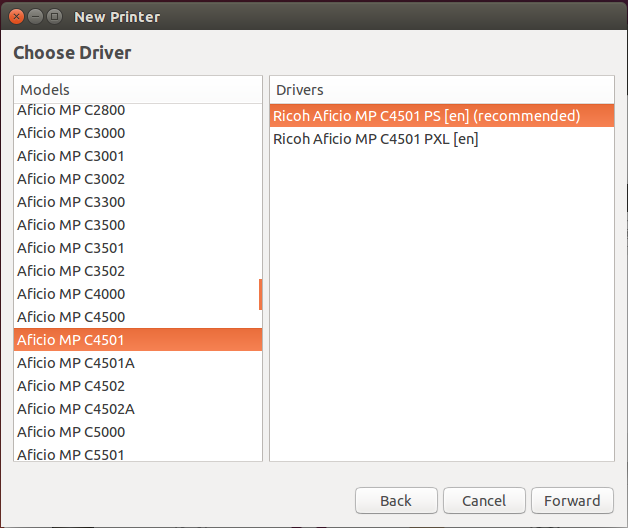 In the right-hand column, choose the driver with "(recommended)" at the end of its name. Click the "Forward" button. Using the drop down menus, choose the appropriate installable options, as provided by your ECN support staff. In this example, our printer has lower paper trays and a finisher unit attached. Click the "Forward" button. Fill out the printer name, printer model, and printer location as directed by your ECN support staff. 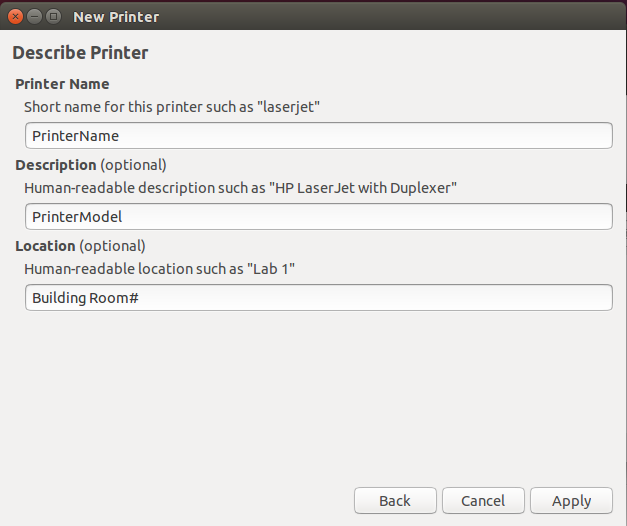 Click the "Apply" button to complete adding the printer. Created: 2014/10/21 10:21:27.290024 GMT-4 by megan.l.boing.1. Generation took 0.26 seconds Copyright © 2019, Purdue University, all rights reserved.